The Big Idea: Discuss how a “healthy team” can help kids play, learn, and grow! 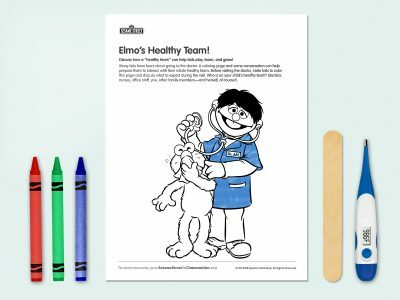 Before visiting the doctor, invite kids to color this page and discuss what to expect during the visit. Who is on your child’s healthy team? (doctors, nurses, office staff, you, other family members—and herself, of course! ).